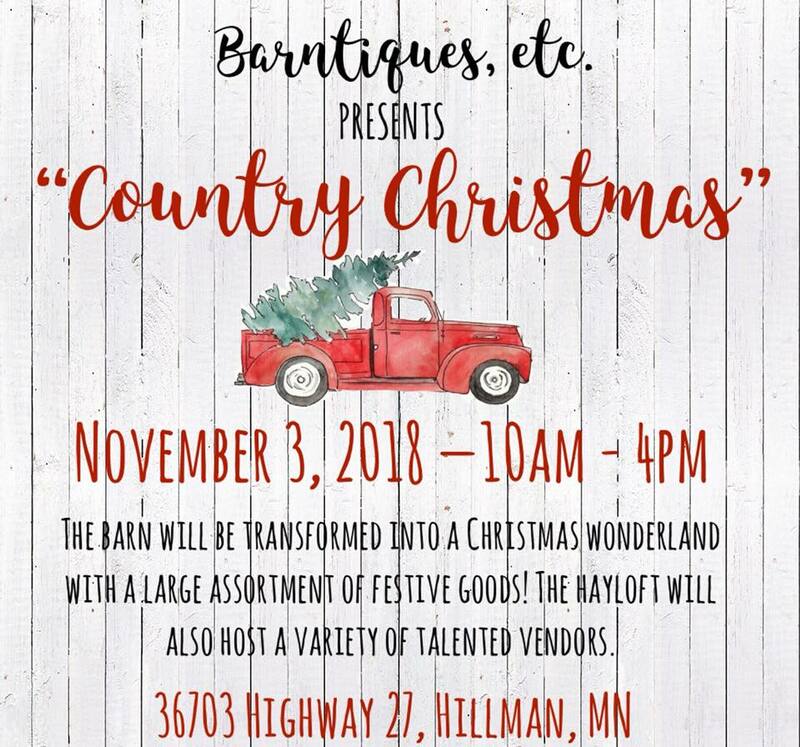 Country Christmas at Barntiques, etc. Join us for our annual kick-off to the Christmas season as we host our popular “Country Christmas” event! The barn will be transformed into a Christmas wonderland with a large assortment of festive goods! The hayloft will also host a variety of talented vendors including Christmas florals, metal art, canned goods, crochet items, and much more! This is a free event with free parking!